Virtual reality (VR) is a new means of audiovisual communication. Its mission is to sell the idea of entry into a three-dimensional computer generated environment where the experience is so surprising that it cuts our minds to believe that this virtual world is really Reality. Its ultimate goal is to allow us to experience the senses we could never experience in our daily lives. VR will transform our world as a result of this ability to deliver experiences. So far, our experience with the internet was at best two-dimensional. The possibility of touch sensitive screen was the nearest we have been in interacting with the internet, and virtual reality is about to transform that concept. VR will transform the world and bring about a monumental change in the way of buying and experiencing the web, scanning; thanks to the pure power and imagination of human thought. It will drastically transform the way we live, communicate, learn and relate with others all over the globe. With massive adoption through platforms such as, HTC Vive, Oculus, VR Play station and Cardboard, companies and customers have already begun to turn to augmented reality and virtual platforms as they come online. Projected revenues are reaching over $100 billion in 2020 for AR and VR platforms, these platforms will create dramatic upheaval in all industries around the world. It is clear that our way of life and the way we behave are willing to change dramatically. And while there may be dozens of ways in which VR will transform the world, there are certain basic things that it will have the most effect on. The obvious use of virtual reality – and the most proven example is the game. Oculus already has many titles that support it, and Sony PlayStation already has many games that use it. Is unlikely to be supported by all parties at any time, but we’ve played with Morpheus and Oculus and the VR will provide a strong, spectacular and impressive experience that brings gaming to a new level of excellence. Something that has contained this spacious miracle is the possibility of films that take advantage of VR capabilities. Think of 3D movies and then think of the real, true 3D – a cinematic world which you can sight edges and angles in 3D reality and paying more attention to what you choose to watch. Actually it is theoretical at best, but the probability is there. And it could transform the movie industry forever. Think about how compelling it can be to simply look at the world on Google Maps. Then think how shocking it would be to do the same with your eye, a kind of crazy right? It is better and safer for surgeons to train to hone their techniques in a simulated environment. But, it would be better for young surgeons to train on not just plastic models or people who have left their bodies to medical sciences. Therefore, a fully interactive and accurate modeled sample suffers from a variety of diseases requiring surgery through a virtual reality interface could make many surgeons with better training and better performance – which is better for all of us. Simulator Surgeon developed in 2013 was a language in games based on this condition. Pilots already learn using flight simulators, but as surgeons they really could do something much more exciting and realistic to improve their skills. VR can be this technology. The ability to fly through the globe using Google maps interface would be interesting and fun. The agency in charge of space exploration could put cameras around their equipment and sends off. Scientists then could navigate and visualize space using a virtual reality device. This would allow the exploration of space in a way that we have not seen before. Maybe you may have heard of Valkyrie – where you take the role of a spaceship pilot – and that seems real, although we knew it was not. An exciting way in which virtual reality is set to change the world is by the advancement of digital marketing. While physical marketing is limited by the laws of nature, experiences in the Virtual world are not. For example, if you are looking to navigate to a Harvard University campus, you will be able to do so, travelling classrooms, walking among students. You may be promoting a concert and want to place visitors there in the midst of this experience in a virtual reality environment. 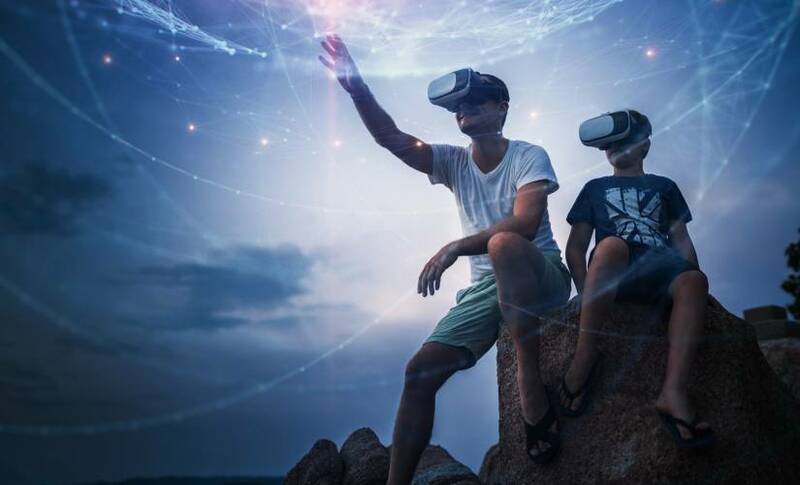 Companies like YouVisit explore experiential marketing for everyday businesses by offering an easy to use platform for building VR experiences. Not only is it useful for businesses, but also for consumers. Consumers now can make decisions based on virtual experiences the same way they would with physical ones. Not only is it ideal for hotels and travel, but much more for any other experiential marketing. These 6 categories are a brief introduction into all of the ways VR will transform the experiences around everyday activities. But, even with these new experiences brought by VR, it will still require VR delivering experiences that are otherwise not even remotely possible and further exploration of experiences similar to those mentioned for it to reach its full potential.